Stay in Hvar Island's best hotels! Located in a secluded pine grove and completely renovated in 2016, the modern Pharos Hvar Bayhill Hotel offers brightly furnished rooms, an outdoor swimming pool and bar area, as well as a modern... Breakfast was amazing. A lot to choose from and very good quality. The pool has a great view and excellent for swimming. Close to everything. Staff very helpful and flexible. Loved everything. Would go back. Actually, we didn’t want to leave. Completely renovated in 2016, Senses Resort is located in a secluded and forested bay just 66 feet from the Adriatic Sea. Our stay in Senses was fantastic. The Resort is huge and just a short walk to the beautiful seaside town of Vrboska. There was a great selection of places to sit out in the sun (which is uncommon in Croatia as there is very little sand) and lots of food and drink options. The staff were also top class. I left my iPad behind on check out and the staff had sent it back to me via post before i even realised it was gone. An excellent experience all round. Located just 165 ft from the beach, Aparthotel Pharia offers modern and stylish rooms with views of the Adriatic Sea or the surrounding fields and olive trees. We loved our stay at Aparthotel Pharia. Amazing location steps away from Hula Hula Beach Bar. The staff was so pleasant and helpful. Equipped with an outdoor shower if u want to beach after checkout. Clean and pretty big rooms. This boutique hotel is located on the most popular promenade in Hvar and offers views of the bustling Hvar yacht harbor. Love this hotel -the beach club was fantastic -the spa great -best massage ever -livationand view gorgeous -we had an amazing room for the last night -should have booked that originally but we wanted a view -it was one or the other due to the room types . Located in a secluded pine grove and completely renovated in 2016, the modern Pharos Hvar Bayhill Hotel offers brightly furnished rooms, an outdoor swimming pool and bar area, as well as a modern... Breakfast was amazing. A lot to choose from and very good quality. Located in a quiet and secluded bay with a private beach surrounded by palms and pine trees, Hotel Podstine features a diving center, a spa & wellness center and an outdoor pool. Great staff at the front desk. Very relaxing spot. Located just 165 ft from the beach, Aparthotel Pharia offers modern and stylish rooms with views of the Adriatic Sea or the surrounding fields and olive trees. We loved our stay at Aparthotel Pharia. Amazing location steps away from Hula Hula Beach Bar. 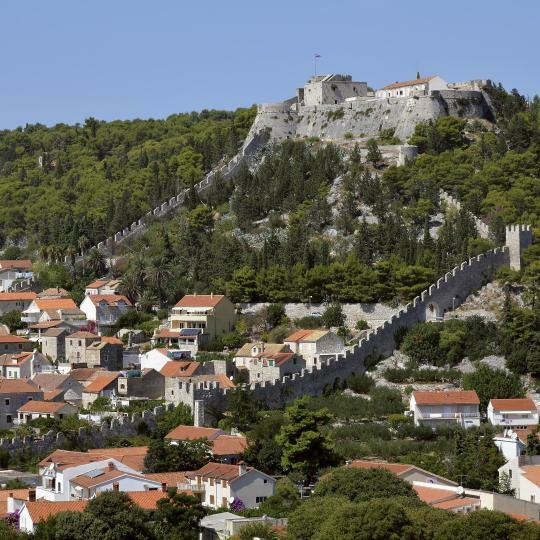 Located in Stari Grad, a 19-minute walk from Petar Hektorovic Palace, Hotel Antica has rooms with air conditioning. All rooms have a flat-screen TV with satellite channels and a private bathroom. Best service of any hotel I've ever stayed at. Located on the waterfront promenade of Hvar and boasting marvelous sea views, Delfin Hvar Hotel offers rooms with park or sea views. Perfect location, friendly staff, nice and spacious room, everything I could ask for! Hotel Hvar is located on the Island Hvar in the small picturesque town Jelsa on a wooded hill, sloping to the shoreline, with large lavender and rosemary fields in the vicinity. The staff was super nice. Short walk to town. The Fontana Resort is located on the wooded hillside of the town of Jelsa on the island of Hvar, directly facing beach. The city center is about 1640 feet away. Free WiFi is available in all areas. Everything. The location of this place is magical. Facing the beachfront in Jelsa, Hotel - Restaurant Mala Banda has a garden. All rooms feature a flat-screen TV with satellite channels and a private bathroom. Featuring an outdoor swimming pool and tennis courts, Hotel Lavanda is set right at the beach promenade, just 164 feet from the sea. Hotel with a long tradition is situated in the shade of pine trees 50 m from coast. 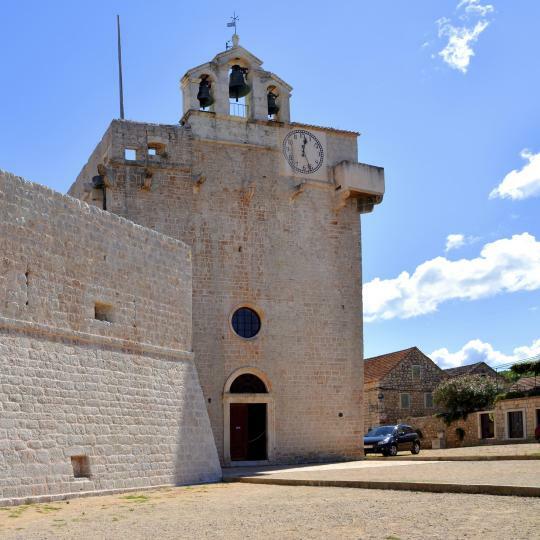 Besides its' historic significance, Fortica Fortress provides stunning views of Hvar Town and the surrounding islands. 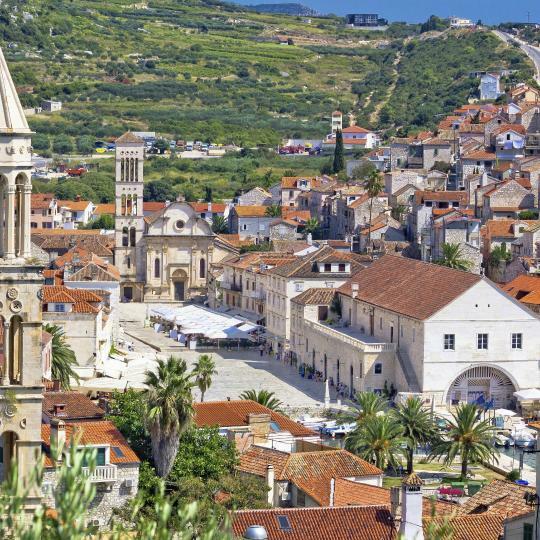 The largest square in Dalmatia is packed with historic and architectural sights. It's also the perfect place for people-watching. This well-preserved renaissance residence was once home to famous Croatian poet Petar Hektorović. Its unique atmosphere is perfect for escaping the summer sun. 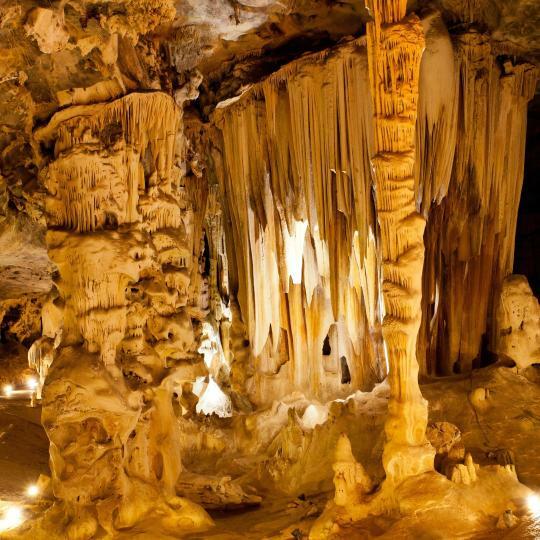 Once an ancient cult site, the Grapčeva Cave still amazes with its historic and natural significance, situated 239 metres above sea level. 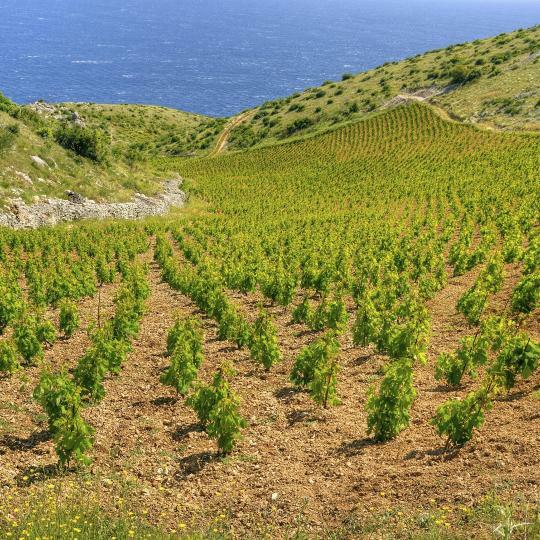 The southern coast of Hvar is the perfect place to enjoy a glass of locally grown wine. 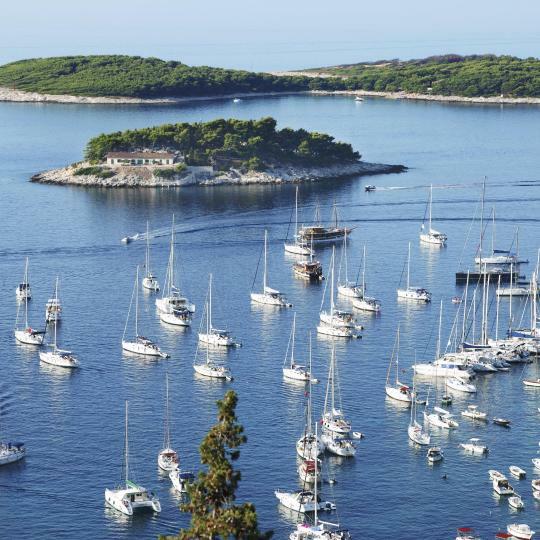 The Islet of Galešnik with its small zoo, beaches and restaurants offers excellent views of the town and Hvar’s harbour. 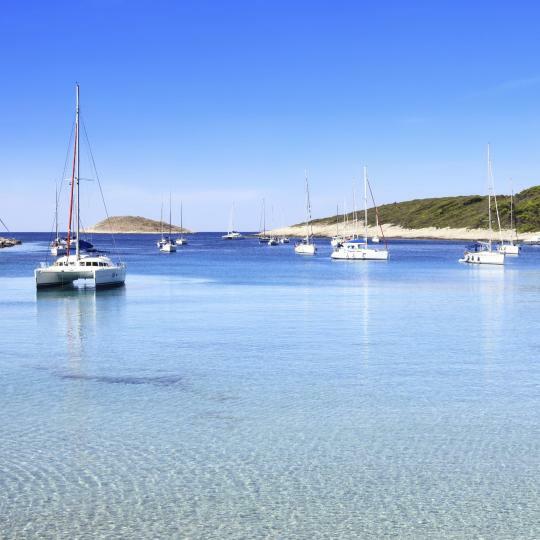 This large lagoon and its sandy beach are surrounded by a thick pine forest, providing plenty of scenic spots to chill out and enjoy the view. 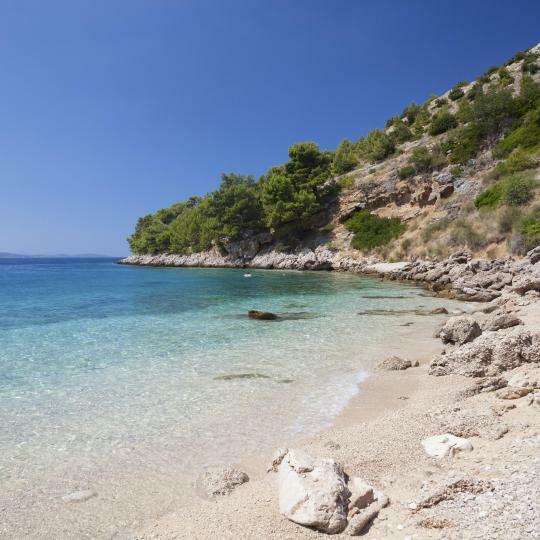 Unwind on one of numerous secluded beaches that are scattered around Hvar’s coast. This fisherman's village will take you back in time with its' stone houses and traditional character. On hot summer nights, Hvar Town never sleeps. Fun awaits in the huge array of lively clubs,bars and restaurants. A magnificent beach front location, positioned as a true opposite to the hub of nightlife that is Hvar old town, this beautiful location is a quiet and magical retreat is on the opposite side of Hvar island. Rooms are spacious and modern. Great for a week away and this place offers great rates with half-board too. Senses which is situated at the far end of the bay of Vrboska is a lovely place to visit and its a great holiday for those with a family or a couple on a quiet retreat. Lovely little bay nearby, best and cleanest water in Hvar, etc. Maja and Mario are fantastic hosts. Never have I been pampered and cared for like the way they treated us during our entire stay on the island of Hvar. They came to pick us up at the ferry terminus to show us the way, they kept going out of their way to make us feel at home and well cared for. I would definitely recommend Apartmani Ivanković to anyone visiting Hvar island, the location is also fantastic, just mid-way between the two coasts of the island. B&B Aurora was exactly what we were looking for on Hvar Island. It is located right within the Center of Jelsa town, just far enough from the bustling ports that it was a quiet escape. Magda (and Aurora, the dog!) was an amazing host and shared great recommendations for first-time visitors to Hvar. Breakfast was great, too. We even chose to extend our stay within the first few hours! We were so happy with the stay, and hope to be back! The apartment at Ante was absolutely great. Each of the host Tonko and Doris' apartments have private entrances either along a communal courtyard with great pool and sitting area, or off the quiet laneway right in front. Don't be shy to ask Doris and Tonko for help/advice they were they key to us having such a great and pleasant time on Hvar Island. This apartment is an architectural masterpiece that was well designed and constructed. Excellent location and you are only a few minutes walking from everything cool to do on the island. Bonus, you get a bottle of red wine produced on Hvar Island. The room was very clean and quiet. Margrita and her husband were extremely nice. I went to swim after check out. They let me taking shower at their bathroom after swimming. They also drove me to the town for leaving Hvar Island. Bartul was very helpful and also took us on a personal tour around Hvar Island. I really don't want to say much about this paradise - it's hard, it's too amazing and I don't want to ruin it's perfection with rave reviews and not be able to get a bed again. This place is absolutely amazing. You will love it if you want to sleep to the sounds of the ocean, float in the sea, be in nature and disconnect from the world to just be. The beds are super comfortable and the facilities are more than enough if you are not looking for the four seasons (it's rustic, adventurous travelers will enjoy - posh travelers will complain). Heaven, cannot wait to go back. The family that runs Dela is fabulous!! They took great care of us and were very friendly and helpful. The room was very modern and clean and the balcony was a wonderful surprise. The weather was very hot in August and the pool was fantastic! We'll definitely plan another Holiday at Dela! Hotel with a long tradition is situated in the shade of pine trees 50 m from coast. All is well mantained and clean. Hotel is very spacious. Personel is friendly and helpful. The food is excellent and various. Hotel is 15 min walk away by beach promenade from center of Stari Grad. Perfect location, friendly staff, nice and spacious room, everything I could ask for! The bar of the hotel is a good choice for pre drinks and the view is amazing just in front of you. 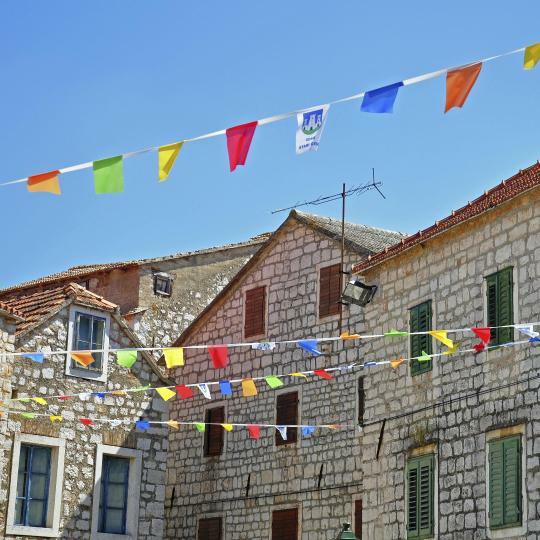 Hvar is unbelievably beautiful and the hotel helps you to enjoy it at max. Great appartment. Very clean. Fully stocked kitchen. Great view. Very close to the beach. 15 minute walk to Hvar Town. Close to a supermarket. Host was great and easy to communicate with. Everything. The location of this place is magical. Rooms could use and upgrade but that didn’t take away from how perfect Jelsa and this place was. Location is good, is a bit walk to the center but a nice walk. Pojoni Doll beach near to the apartment is great!! Lovely large room, amazing location, and breakfast. Rooms with a balcony are great. Incredible value. The proprietor Julia is phenomenal -making a huge effort to make her guests happy. And we were! The staff was super nice. Short walk to town.